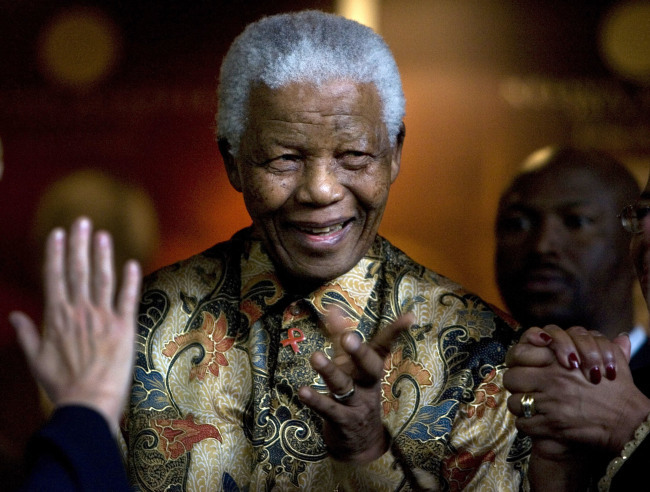 “Looking at the state of our world today, the unfinished business of Nelson Mandela’s lifework clearly looms large,” South African Ambassador to Korea Nozuko Gloria Bam said in an interview. Every year on July 18, South Africa and the global community celebrate Nelson Mandela International Day. The day commemorates the late South African president’s antiapartheid struggles and sacrifices as well as his contributions to universal human rights for benefitting the larger world. It was designated by the United Nations General Assembly in 2009, and calls on people worldwide to devote 67 minutes of their lives -- in reflection of the late leader’s charity work over 67 years -- in the service of others. This year also marks the centenary of Mandela’s birth. Borrowing the words of John Carlin, a former correspondent in South Africa for the London-based media outlet the Independent, the envoy said Mandela’s legacy was that “he showed it was possible to be a great human being and a great politician at the same time; that showing respect to friends and enemies alike can get you a long, long way; and that nothing beats the combination -- in Mandela’s case, the seamless convergence -- of magnanimity and power”. 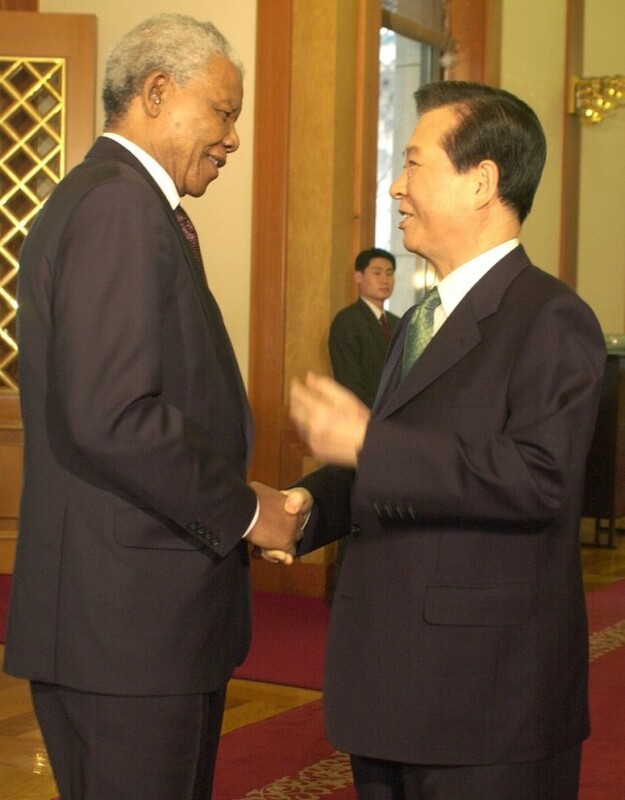 The Korea Herald: Mandela embodied the national philosophy of “Ubuntu,” meaning “human kindness” or “a universal bond of sharing that connects all humanity.” At a time when genuine practice and advocacy of human rights are compromised worldwide for political and economic gain, what is the significance of Mandela’s legacy? 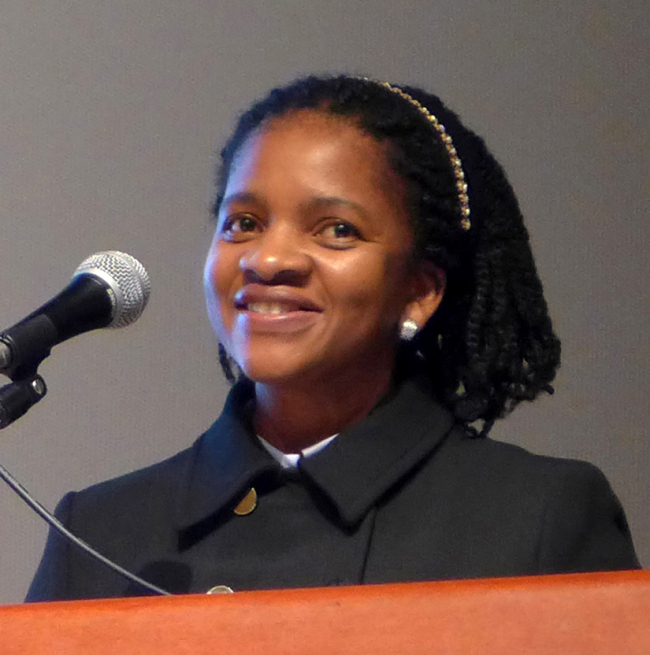 Nozuko Gloria Bam: Mandela embodied the core values and principles of democracy, human rights, accountable governance, human dignity and equality. He was passionate about rights of the child and empowerment of women and gender equality. He contributed immensely to nation-building, reconciliation and social cohesion in South Africa’s new democratic dispensation since 1994. He played an instrumental role in the outcome of the landmark 2001 World Conference Against Racism, Racial Intolerance and Related Intolerance in Durban, and co-signed the global pledge, “Tolerance and Diversity: A vision for the Twenty-First Century,” with former United Nations High Commissioner for Human Rights, Mary Robinson. On Sept. 24, the United Nations General Assembly will honor this iconic leader at the World Peace Summit, where heads of state and government will participate. KH: What activities are the embassy planning on the Mandela Day here in Seoul? Bam: Our embassy has been involved in various events to commemorate the Nelson Mandela Centenary throughout the year. On July 18 specifically, our staff will visit an orphanage in Seoul to clean the premises and hand over financial and other contributions made by members of our embassy as well as other African embassies in Seoul. We are also supporting an exhibition here organized by a Korean nongovernmental organization, which will feature 300 artworks and letters from 300 children from two townships near Cape Town at its official opening on the day. KH: Can you touch on the South African government’s position on universal human rights as articulated through its foreign policy? Bam: Our government is an ardent adherent to the 1948 United Nations Bill of Rights, having ratified the International Covenant on Economic and Social Rights and the International Covenant on Civil and Political Rights. We have also deeply committed ourselves to the Universal Declaration of Human Rights. The South African Constitution of 1996 has fully internalized rights enshrined in these documents. Our state returned to the Community of Nations in 1995, and has engaged intensely in setting the norms and standards in the UN human rights system. We have sat four terms on the UN Human Rights Council. In the above context, South Africa has prioritized the centrality of human rights in its foreign policy. Our constitutional processes operate on core human rights values. KH: Can you elaborate on South Africa’s reconciliation and justice restoration experiences, including institutions and dialogues? Bam: The South African Truth and Reconciliation Commission was set up by the Government of National Unity in 1995 to help deal with apartheid crimes and transgressions, which included violence and human rights abuses from all sides, as no section of society was free from involvement. The commission’s mandate was to bear witness to, record, and in some cases, grant amnesty to human rights violators who committed criminal acts between 1960 and 1994. It also considered their reparation and rehabilitation. Formal hearings began in April 1996 and continued through 1998, when the commission presented its report. During this period, 5,392 people were refused amnesty and 849 were granted amnesty out of a total of 7,112 petitioners. In the report, the commission condemned both sides -- the apartheid government as well as liberation movements -- for committing atrocities. The TRC has been generally regarded as a very successful and vital component of our nation’s transition to a full-fledged democratic system. KH: How did South Africa’s denuclearization come about, what has it achieved, and how did international cooperation and sanctions bring about South Africa’s democracy? Bam: South Africa’s apartheid government developed its nuclear program at the height of the Cold War as a deterrent to the Soviet Union, which backed liberation movements across Africa. Fearing the Soviet-backed forces’ direct invasion or invasion of South West Africa (today’s Namibia) then controlled by South Africa, the government launched its nuclear weapons program in 1978, subsequently manufacturing six air-deliverable nuclear weapons. 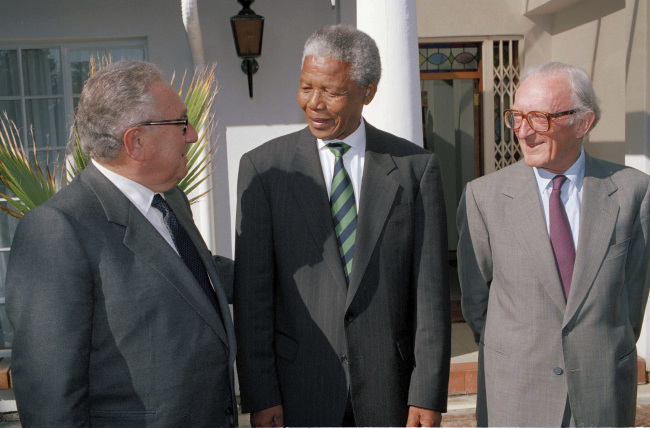 In the late 1980s, as the Cold War dissipated, Cuban forces left Angola and Namibia gained its independence, leaving South Africa to face a significantly different political world, not only internationally, but also domestically. It became clear that apartheid could not survive. Isolated from the global economy, the government also recognized that South Africa would benefit more from giving up its nuclear program. On Feb. 26, 1990, former President Frederik Willem de Klerk ordered the destruction, in secret, of the six completed nuclear weapons and a seventh partially completed device. On March 24, 1993, he announced at parliament the existence and abandonment of the former nuclear weapons program. Inspections by the International Atomic Energy Agency between April and August of 1993 confirmed the complete dismantlement of the program. South Africa acceded to the Nuclear Non-Proliferation Treaty in 1991 and concluded a comprehensive safeguards agreement with the agency. South Africa also signed and ratified the 1996 African Nuclear Weapon-Free Zone Treaty, committing the country to a nuclear-free continent. It has furthermore ratified the Comprehensive Nuclear-Test-Ban Treaty, and signed the Treaty on the Prohibition of Nuclear Weapons last year, which fills a key remaining legal gap in international law on weapons of mass destruction with a clear prohibition of nuclear weapons and strengthening of the NPT norms. In the field of disarmament, nonproliferation and arms control, South Africa is guided by a 1994 cabinet policy covering all weapons of mass destruction and concerns related to conventional weapons’ proliferation. This policy forms an integral part of our government’s commitment to democracy, human rights, sustainable development, social justice and environmental protection. It highlights that the biggest security threats today and in the future are far beyond nation-to-nation aggression, but critically underpinned by human rights issues, including poverty, infectious diseases, environmental degradation, war and violence within states, the spread of nuclear, radiological, chemical and biological weapons, terrorism and transnational crimes. The policy forms our understanding of the indivisibility of security, economic development and human freedom. The catastrophic consequences and effects of a nuclear weapon detonation, by accident, miscalculation or design, are fully understood. South Africa today supports proposals to create a new legally binding framework, with clear benchmarks and timelines, to help achieve and maintain a world free of nuclear weapons. As a country that voluntarily dismantled its nuclear arsenal, we believe the only viable solution for a safe and secure world is their total elimination. There is general agreement that the international trade and financial sanctions against apartheid South Africa and withdrawal of significant foreign investments played a major role in accelerating the advent of democracy in 1994. After the imposition of sanctions, South Africa experienced economic hardships, which led to political change. KH: Can you recommend a few key tourist sites in South Africa as part of the Nelson Mandela 100 destinations campaign this year? Bam: As part of the Nelson Mandela Centenary celebrations, South Africa’s government tourism promotion agency, South African Tourism, has identified 100 experiences, attractions and destinations throughout the country with strong historical and social ties to his life. I would highly recommend the following six sites for international visitors. • Qunu in the Eastern Cape Province was where Mandela grew up as a child and tended his family’s livestock. Visitors can slide down a steep, smooth rock just like the young Mandela did as a child. 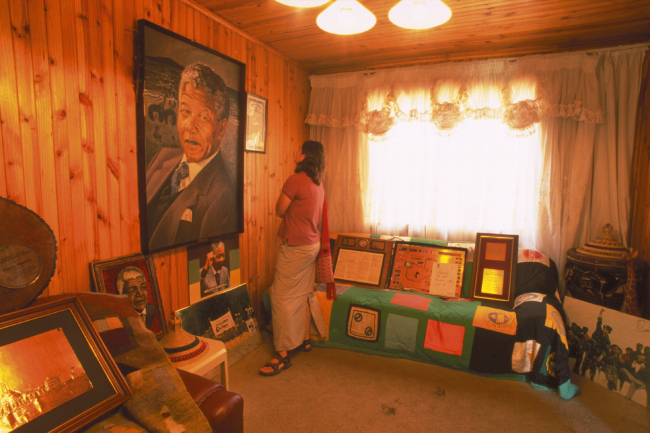 • The Mandela House in Soweto, a National Heritage Site, was the first home he owned and where he lived from 1946-62. The interior hosts some original furnishings and memorabilia, while the exterior has bullet holes and scorches from attacks with Molotov cocktails. • Liliesleaf Farm in Johannesburg served as a safe house for the armed wing leadership of the African National Congress in the 1960s. It was where Mandela hid in plain sight, posing as a gardener and caretaker under the alias David Motsamayi. • The Nelson Mandela Capture Site in the KwaZulu-Natal Province, a long stretch of country road in the picturesque KwaZulu-Natal midlands, was where Mandela was arrested by police in 1962, disguised as a chauffeur. The monument erected at the site consists of fifty 10-meter-high steel columns that reveal a portrait of Mandela when viewed from afar. 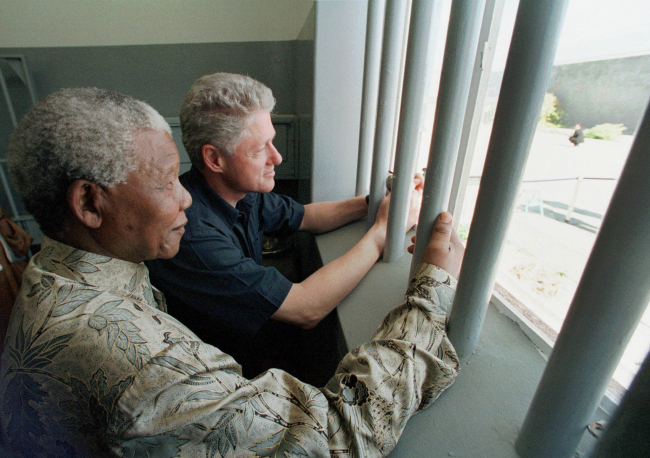 • Robben Island in Table Bay, Cape Town, was where Mandela spent 18 of his 27 years in prison. As a National Heritage Site and UNESCO World Heritage Site, Robben Island is one of the most iconic landmarks related to Mandela’s struggle. Visitors can get inside his 4-square-meter cell and visit the quarry where he and other prisoners toiled during the day. • The Union Buildings in Pretoria is the seat of the South African Presidency and where Mandela was inaugurated in 1994 as the nation’s first democratically elected president. 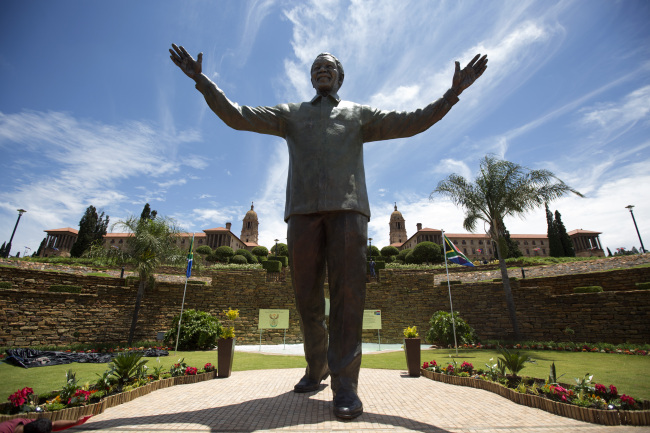 The site is home to a 9-meter-high bronze statue of Mandela, which was unveiled on the day following his funeral in 2013.